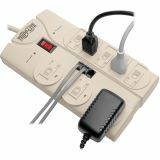 Eight outlets with integrated child safety covers. 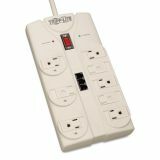 Accommodates up to 3 transformers without blocking remaining outlets. Diagnostic LEDs indicate protection present and ground present. Tripp Lite Protect It! 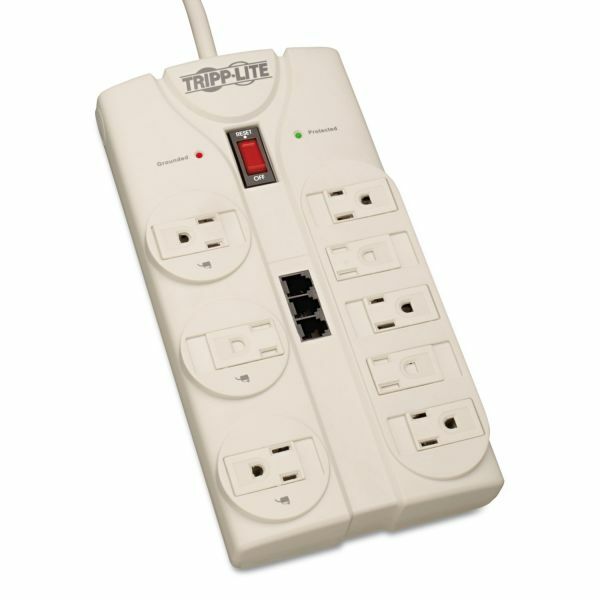 Computer Surge Protector, 8 Outlets, 8 ft. Cord, 2160 J, Light Gray - Surge protector with eight outlets accommodates bulky transformers without blocking remaining outlets. 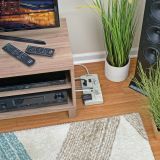 Features EMI/RFI line noise filtering. LEDs warn of potential power problems. 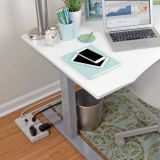 Keyhole slots on bottom panel provide convenient wall or desk mounting options. 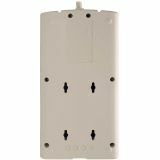 15-amp circuit breaker offers power control and overload protection over all outlets.